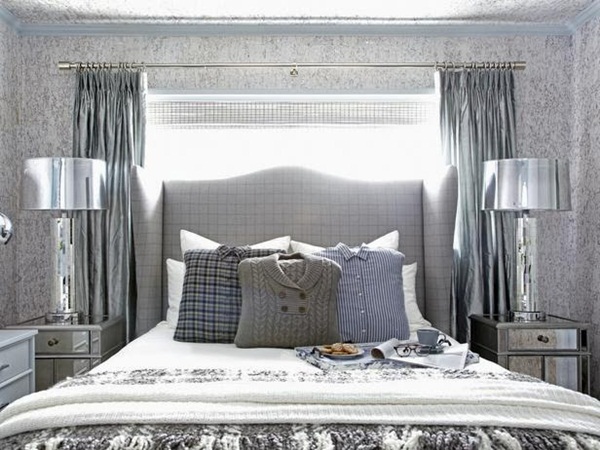 30 Luxury Guest Room Designs that your Friends will Love! Do your guests visit your house frequently? 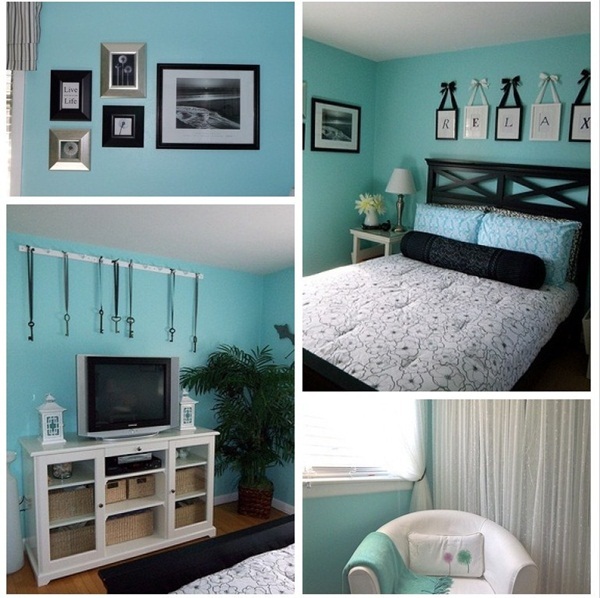 Are you planning to design a guest room for your guests? 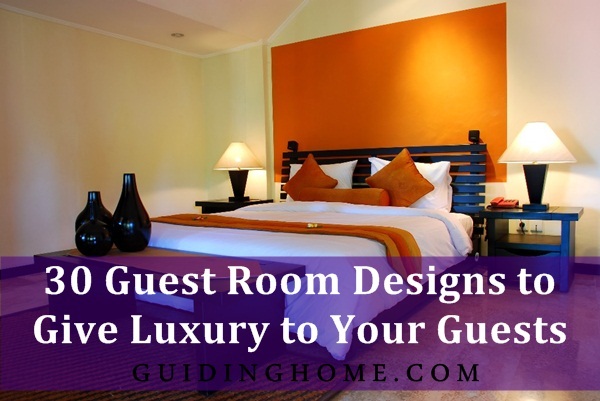 The tips below will help you in designing a perfect guest room that give luxury to your guests. You need to consider the things that can make your guest feel comfortable. The guest room should be designed similar to other rooms and most importantly, you need to set the comfort zone for your guest in the guest room. If you are going to construct a guest room or renovate the old one then follow the latest guest room designs ideas for the room will be of great help. At times, when you are short in space, the big store room or your kid’s room can act as the guest room. If you have good space to accommodate your guest then go for a separate room. 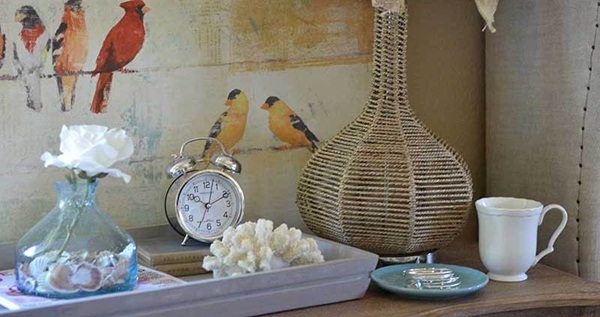 Here are some of the essential things that can enhance the look of your guest room. Wall Texture: The paint needs to be good. Avoid using distemper. 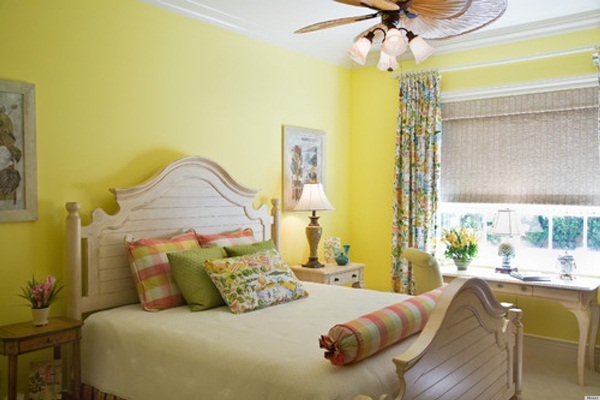 The plastic paint or texture paint can be a good choice for the guest room. You can even use the wallpapers for the walls of your guest room. These are the attractive choices for the guest room walls. 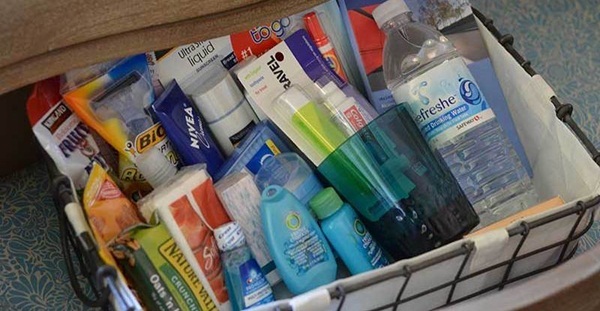 Trial Size Toiletries: You must put together guest basket of goodies including a soap bar, mini shampoo conditioner, floss, toothpaste, unused toothpaste hand lotion etc. Keeping them together in the washroom of the guest room is a nice option. 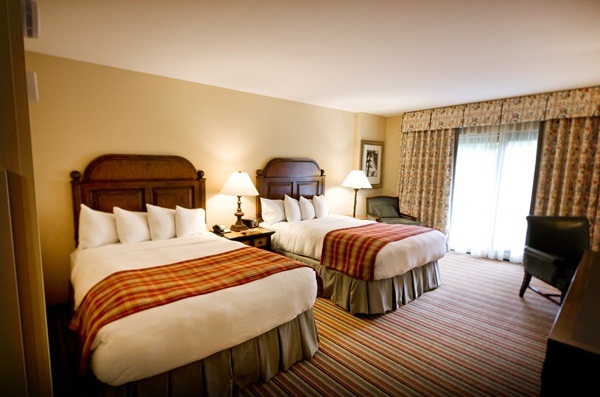 Towels and bed linens: You must keep a set of towels in the guest room and the bed linens must be neat and clean. The room should have air freshener applied to create a good appealing smell. 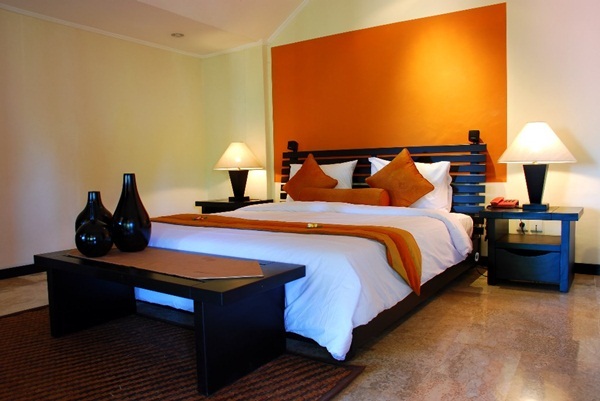 The colour of the beddings used should blend well with the wall and the entire room creating a cool theme. Reading Material: Dedicate a little space for keeping the books. Some of the story books must be kept in that space, so that the guest can read them when he/she is getting bored. Water: There should be proper arrangement of water in the restrooms and bathroom attached with the guest room. You can also provide the guests with water bottles and a few drinks in the room just to make them feel relaxed and comfortable. Let the guest enjoy complete luxury. 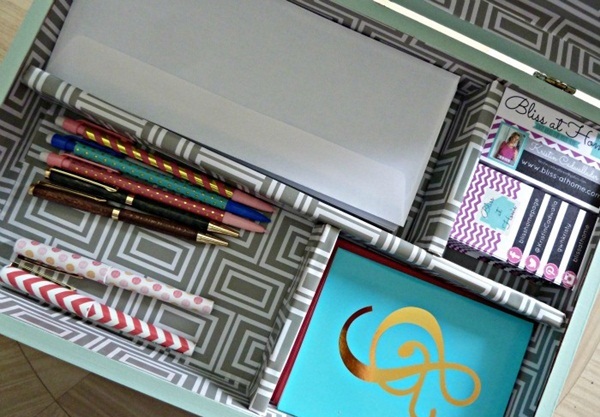 Stationary: Make sure to keep the handy stationary like pen, pencil, eraser, ink remover, white papers etc. This will be helpful in case one is to draft or write something. 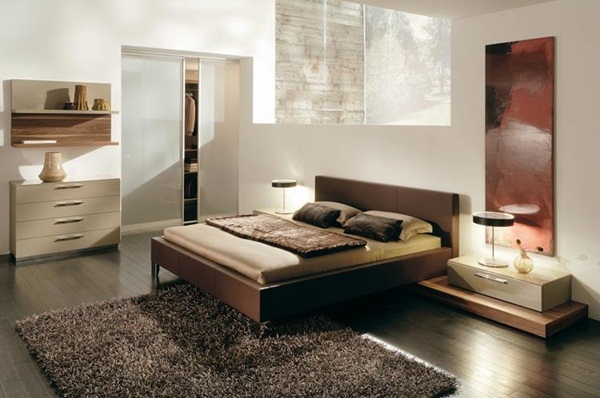 Furniture: The furniture also plays an important role in enhancing the look of your guest room. The furniture and wall paint must contrast each other. Wooden furniture with shiny look can make your guest room appear beautiful. 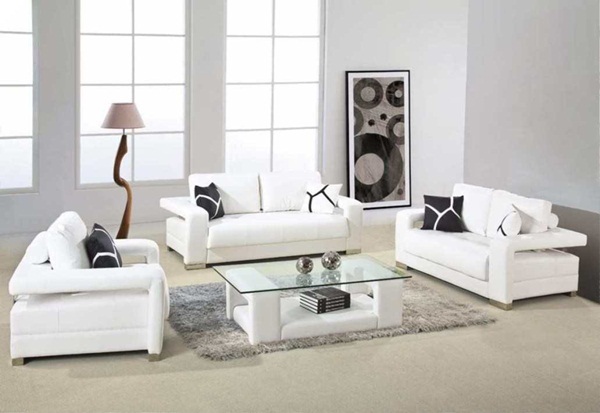 You need to set the furniture in a right way in order to make the room look pretty and spacious. Other Essential: If you are high on budget then including a LED TV and DVD can also make the look of guest room wonderful. You can even add on the spare bathrobe, a laptop, or provide password aid the guest room with internet connection. The bathroom can be added with bath tub and tiling and flooring can be done with contrasting tiles and marbles. Bathroom essentials like toiletries are necessary for a luxurious guest room. 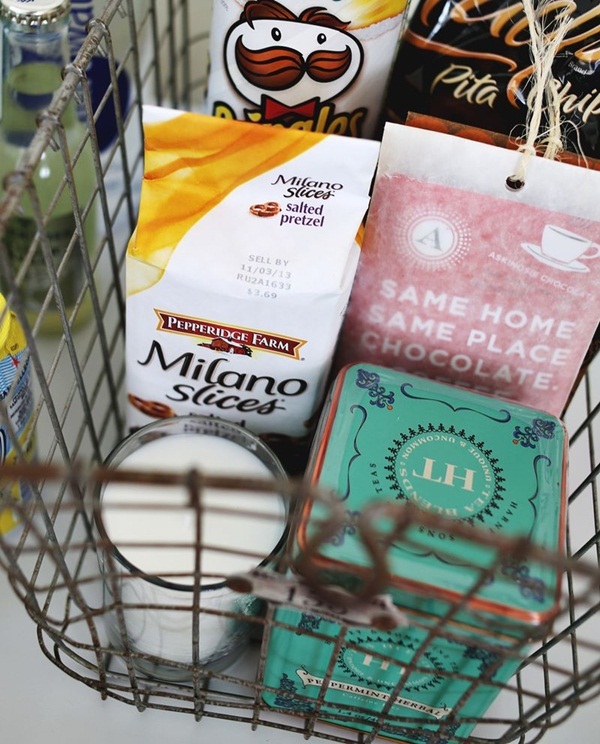 The essentials may include new toothbrushes and toothpaste and can be supplemented with a few luxuries that the guests might not be using back in their homes like a special shampoo, some beautiful cream, special soap, some small bottle of perfume and cologne or some moisturizer. 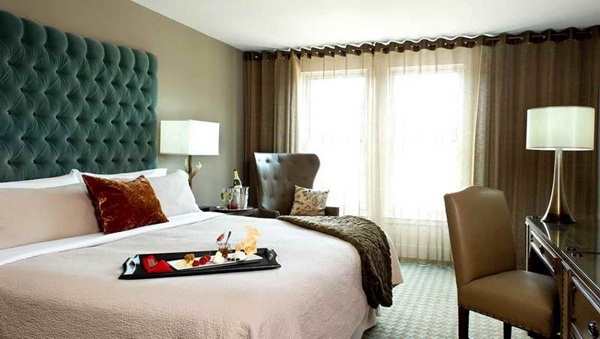 Use of decorations and arts can have a great impact and create luxury feeling in the guest rooms. It also draws and enhances interest on the artistic work that can be quite therapeutic to the guests. Make sure you follow each and every guideline mentioned above in order to give a luxurious look to your guest and amaze the guest with the beauty of the room. Make sure the guest is very comfortable in the room as he/she feels at home by creating a relaxing and luxurious atmosphere in the room. You can even hire a professional artist to plan out the guest room design for you so that it can look wonderful and pleasing. The professional will keep every aspect in mind and will create something out of nothing. What is more important that your guest should feel like this is his/her second home. 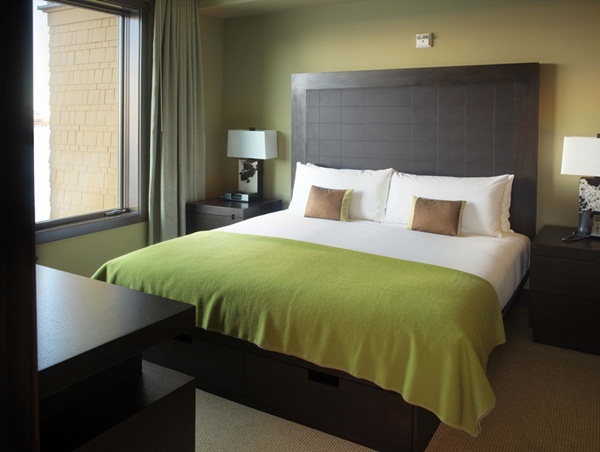 Your ultimate aim should be to add the comfort to the room and make the stay as pleasant as can be. Having a sitting area that’s space permitting for relaxing is quite important. You can give luxury to your guests by providing a comfortable settee with an adjustable table making the whole setting welcoming. The sitting area should be well illuminated with a bright lamp that can be adjusted to fit the required light output. 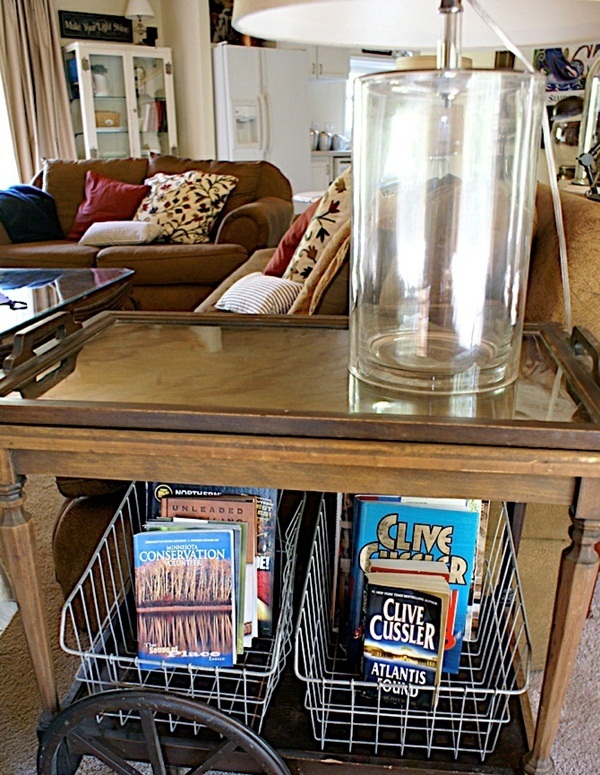 Adding a small personal library that includes daily newspapers and a few magazines where information on local listings are featured can be quite engaging even as the guest relaxes. 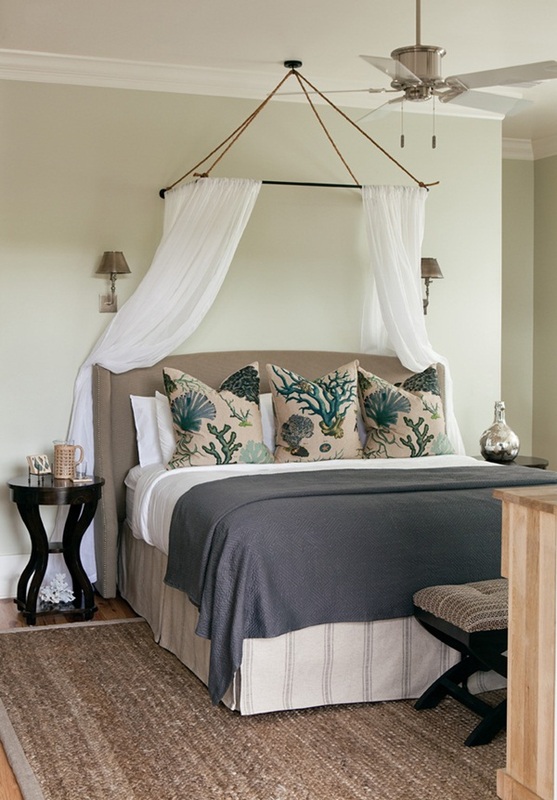 The picture below shows a stunning guest room with twin beds design with everything looking perfectly done. Guest rooms should not be treated as spare rooms for storing personal effects instead the available space should be left open and clean. The drawers if any, should just have air freshener and curtains should not just be decorative but should be well able to block the silhouette. It’s appropriate if the guest room is in its own wing to avoid any noise or distraction to the guests. How the living room is designed has a great way of expressing luxury to the guests and how their general feeling turns out to be. The colour used in the living room has a way of influencing the mood in the place and can either make the guests feel energized or relaxed. This depends on whether the colours are intense, warm or cool. The living room below has cool warm colours that create a relaxed atmosphere with sufficient lighting that reinforces the feeling of warmth and brightness. The floor should also be stylish and comfortable creating warmth for the feet. Creation of a focal point in the living room anchors the living room just like the open window with hanging lights. The seats are well placed living enough room for relaxing feet. Guests feel comfortable when the bed is well spread with clean warm beddings like the ones below with some element of privacy as there are no personal effects in the room. The wall colours are welcoming for experiencing total rest and comfort. The lamps should be strategically placed and the lights should be adjustable as per requirement. Whenever, a guest visits your house, he/she should feel comfortable whether his/her stay is short of long. 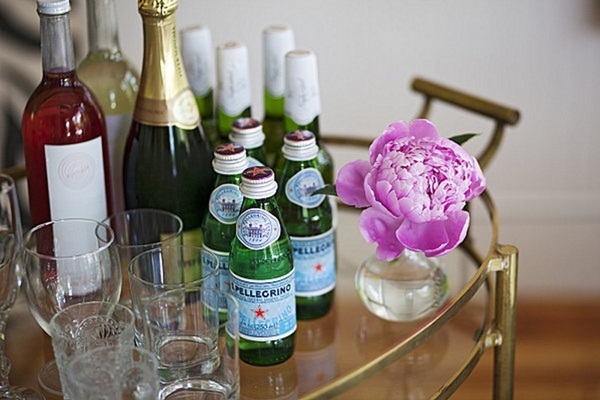 You should make every possible effort to make the stay of your guest pleasant and memorable. The guest room below is fitted with sufficient drawers where the guests can store their personal effects. The beddings look warm and inviting with the flowers creating some element of liveliness in the room. The type of fabric used and colour combination creates an element of elegance and guests are likely to perceive it as luxurious. The size and design of the bed below is quite unique and blends quite well with the room’s colour. The colour and material of the pillows are not only decorative but assures the guests of maximum comfort. The choice of furniture used in the room is also classic making the guest room appear more luxurious. 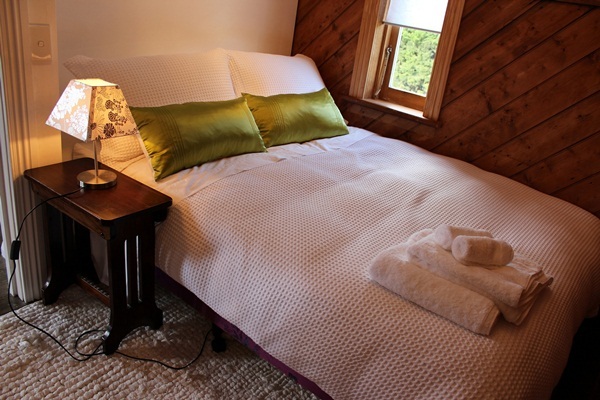 A beautifully made bed with crisp sheets enhances a feeling of warmth and relaxation to the guests. 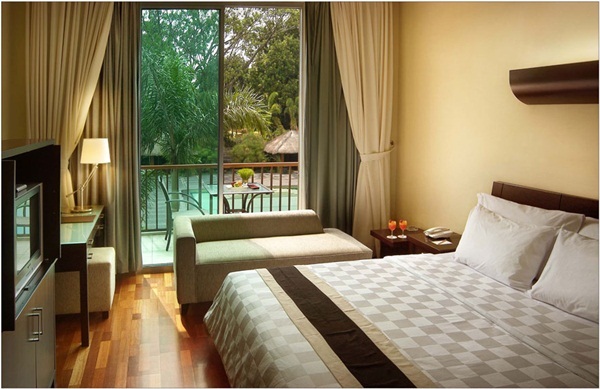 The colours used in the rooms blends perfectly with the pillows and beddings creating such a classic outlook. 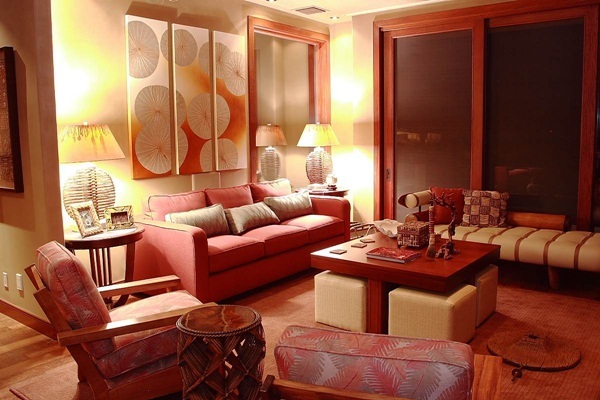 The warm light highlights the room features creating an ambience that’s warm and relaxing. Guests are likely to find the colour combination quite inviting and creative. Stick to Basics: Your main focus should be staying to the basics. 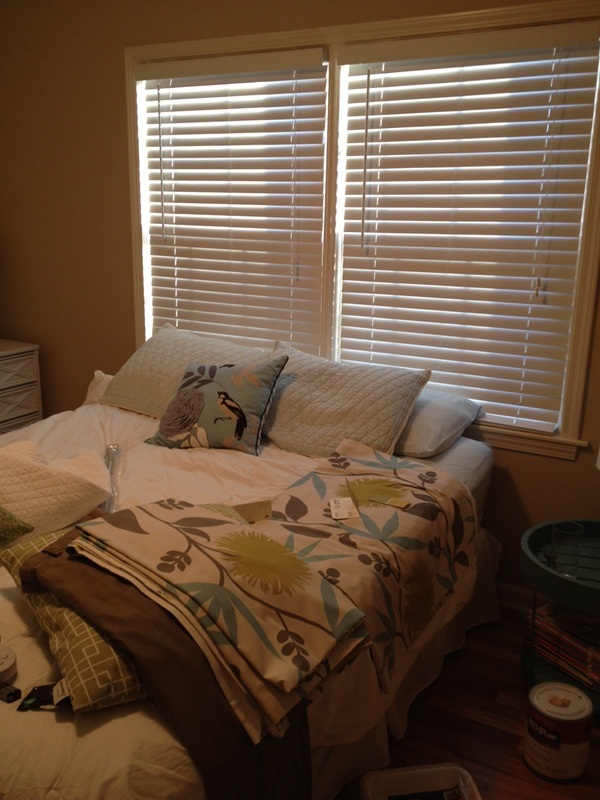 Add on the basic features to the guest room that you think can make the guest feel comfortable. Some of them had already been discussed above. The mattress must be flexible and comfortable to sleep on. The furniture pieces can add on extra beauty to your guest room. Create some breathing space for the furniture: Resist the temptation of overcrowding the living room, create some space that allow for easy movement within the living room. Invest on fewer and better quality seats that create elements of luxury in the living room which makes the entire setting look luxurious and appealing to the guests. Applying creativity in your design is essential and this can be achieved by using simple things that express creativity like the colour of the pillows and bedsheets. Light harmonisation in the rooms and how the rooms colour blends with the bed and beddings in the room is also another aspect that makes the guest room more attractive and luxurious. Avoid living personal effects in the guests bedroom if you want your guests to feel comfortable and relaxed. The lighting used in the rooms should be geared towards creating a relaxed and comfortable mood with lighting positioned to ensure quality distribution of illumination. Just like in the designs below, it’s good to incorporate every feature into the room’s design so that there’s no feature that looks dominant. The colours used provides a cool and warm atmosphere with the theme of white blue and black demonstrated predominantly which makes other features t fit well within the design. Hire a Professional Artist: The interior designers can help you to make your guest room as well as house inviting and comfortable for the guest. It is better to hire a good and professional designer, in order to add appeal to your guest room. 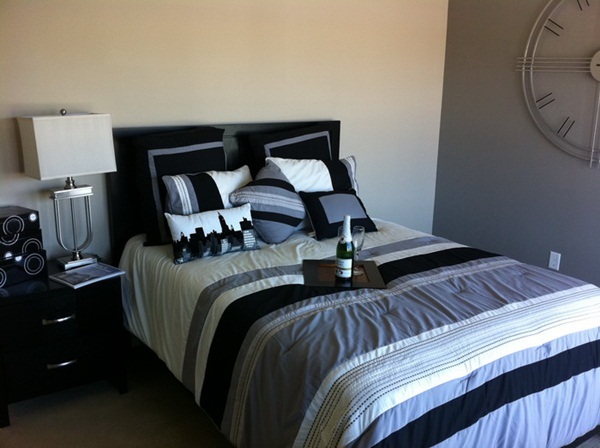 The designer will look through all the basic needs of the guest room and design it accordingly. The wall colours in the guest room design below illuminates the room perfectly well creating a warm and desirable atmosphere. The multicoloured curtains and the pillows enhance the theme of the design creating harmony and elegance. The stands beside the beds are also spacious enough living enough room for the guests to place their personal belongings like a mobile phone or a magazine. The dark hardwood used for the bed and other furniture in the guest room below is an expression of luxury and comfort. 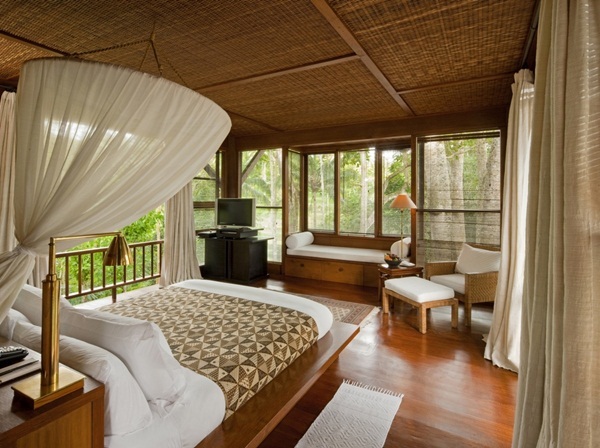 The pillows, bedsheets and the beddings are made of quite significant and subtle materials creating an aura of elegance. The lighting used is more cool and relaxing. Use simple and contrasting Accessories: Whatever accessories you use in the guest room must be contrasting to each other and should be simple. 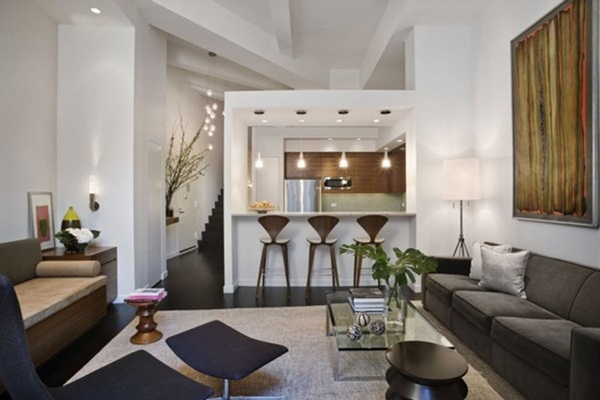 The simple things are more appealing and can be set in any part of the room. Choice of colour is a fact that should be considered when designing a guest room that gives luxury to the guests. With the colour of the accessories chosen to match the room’s colour. The bed sheets and the duvet should be just fresh from the laundry, radiating a spotless look. Use of layers of lighting greatly improves the illumination of the living rooms and enhances the appearance of the features used in the living room. Layers of lighting when used in a decorative way creates interest and intrigue with the table lamps enhancing a feeling of warmth and relaxation. The colour used in the room and the furniture blends quite well alongside other features creating such a luxury looking living room ideal for guests. The blend of brown and dark brown in the guest room below creates a tranquil glow that enhances the visibility of the entire room. The colours are cool and mild with the curtains and bedsheet colours creating a perfect blend of colours. It’s good to provide sufficient beddings and a place where personal effects like mobile phones, magazines can be kept. 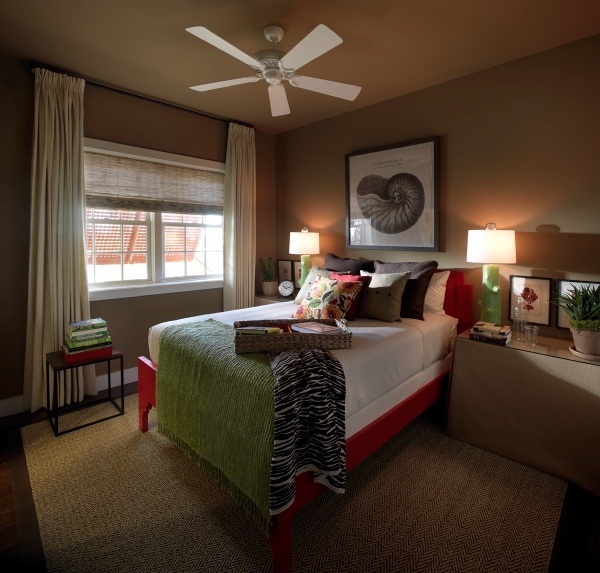 Availability of the fan in the guest room regulates the temperature providing an environment for total relaxation. The warm bright light in the room below effectively highlights the features of the room with the bed well made to communicate comfort. The choice of colour of the wall and the floor radiates quite well as it enhances the general outlook of the room. The table lamps used in the guest room provides sufficient lighting for reading and even illuminating the entire room. Provision of a bottle of wine with a glass is good gesture to the guest and creates a unique luxury feeling. A mixture of pieces of black and blue patterns blends well with the neutral background of the wall. Provision of sufficient storage space is encouraged in the guest rooms. Having sufficient space in a guest room is a perfect demonstration of luxury as the guest has a separate area where they can relax and unwind before getting to bed. The open glass walls create a quality connection with nature and the trees outside the room. The colours used and the theme demonstrates tranquillity and serene atmosphere for the guest and an ideal feel of luxury. 10 Garage Storage Ideas You Can Implement Right Now!